A Jihadist who stabbed two American tourists in the European city of Amsterdam was thwarted in a matter of seconds, thanks to fast-acting police. A 19-year-old man pulled out a knife and slashed at two 38-year-old U.S. citizens at the Dutch capital’s central station last week before police opened fire just nine seconds after he began his savage attack. Dutch police reported that the man was picked up by surveillance officers who are positioned to be on the lookout for pickpockets. The cops tracked the man, later identified as Afghan asylum seeker Jawed Santani, before apprehending him shortly after he produced a blade. Police chief Pieter-Jaap Aalbersberg said that the officer “called two colleagues over” when he spotted Santani acting abnormally. Firearms officers shot the man in the hip, before swiftly arresting him. “There were two victims, and that is very serious, but the number was kept to a minimum,” the chief noted, according to the BBC. Police have reported that the suspect was acting alone, while his lawyer revealed that a note left at his client’s house indicated that he did not intend on surviving the attack. “My client seems to have taken into account that he would not survive this action because a last will and testament was found in his house in Germany,” said attorney Simon van der Woude, according to the Daily Mail. The American victims, who have yet to be named, noted that they “cannot thank [the police] enough for what they did to save their lives” in a statement released through the U.S. Embassy. They also thanked an information kiosk attendant who rushed to their side after realizing what had occurred. 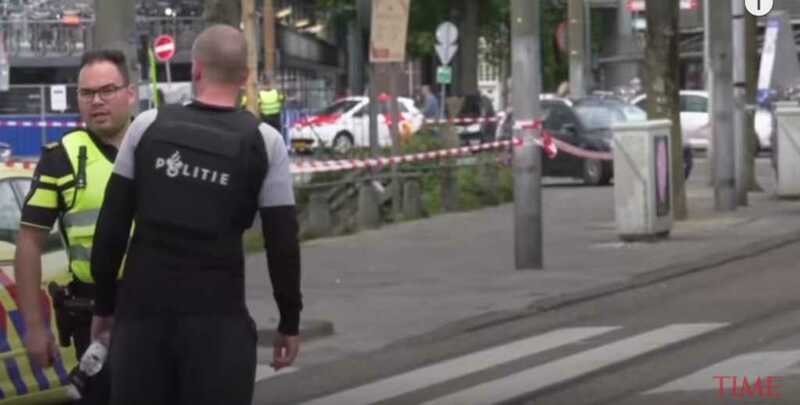 Prosecutors argue that the suspect’s motive was related to his feeling that the religion Islam was being “insulted” in the Netherlands. Lawyers also asserted that the terrorist did not know the victims were American. “It is apparent from his statements that he believes that in the Netherlands, the Prophet Muhammad, the Quran, Islam and Allah are repeatedly insulted,” prosecutors said in a statement Monday.